It’s getting to be that time of the month when DC starts rolling out solicits for comic books due to ship three months from now. As such, we’ve been given insight into upcoming issues of Trinity, Hal Joran and the Green Lantern Corps and Aquaman, two of which will begin new story arcs. First, let’s take a look at Trinity, which looks to offer a nice alternative for those who may or may not be digging what’s going on over in the Justice League books. 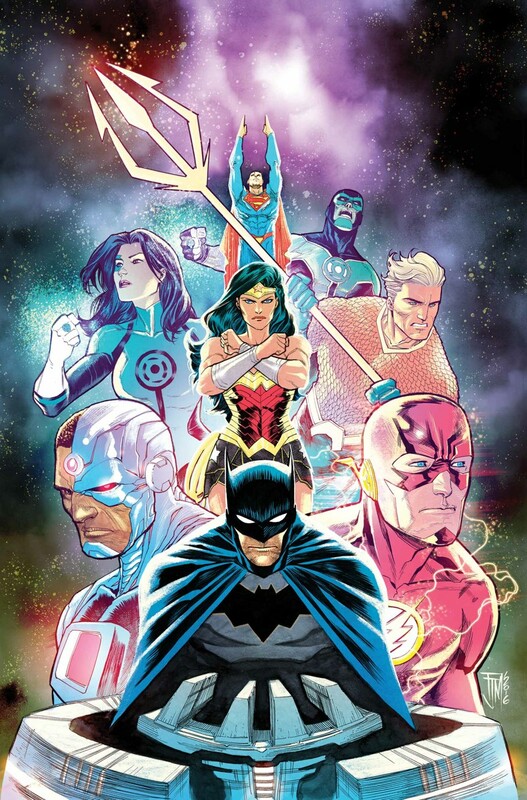 Normally, the focused is placed squarely on DC’s biggest guns – Batman, Superman and Wonder Woman – but it seems the rest of their JL cohorts will be joining them for the “All Along The Watchtower” arc. Francis Manapul has never been one to steer readers in the wrong direction, so we have the utmost confidence in this one. 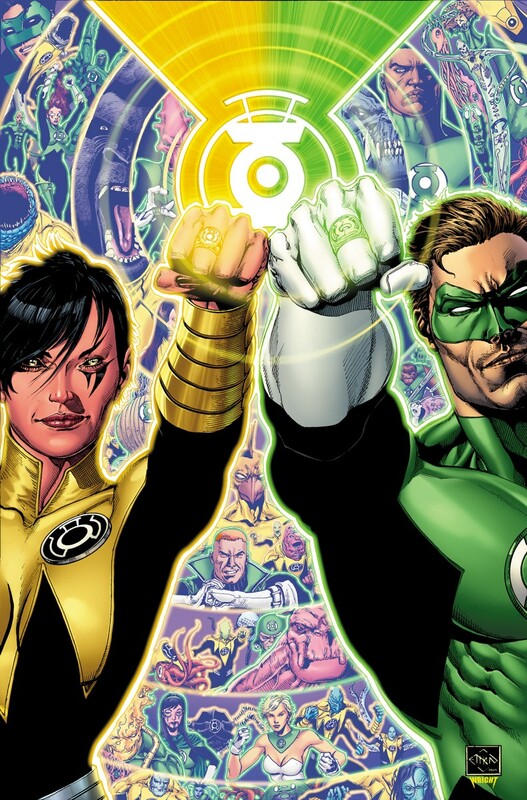 Moving on, we come to Hal Jordan and the Green Lantern Corps, which, as you may be aware, has seen the Green Lantern and Sinestro Corps form an alliance as of late that everyone’s just expecting to crumble sometime soon. Finally, we’ll discuss Aquaman, which is probably the reason you’re reading this article. Since Rebirth began, the publisher has opted to give Arthur Curry a more traditional, clean shaven look, but many of us are expecting him to take a bit more of a rugged turn at some point in order to look more like Jason Momoa (hey, Harley Quinn recolored her hair about a year ago to look more like Margot Robbie in the Suicide Squad movie). 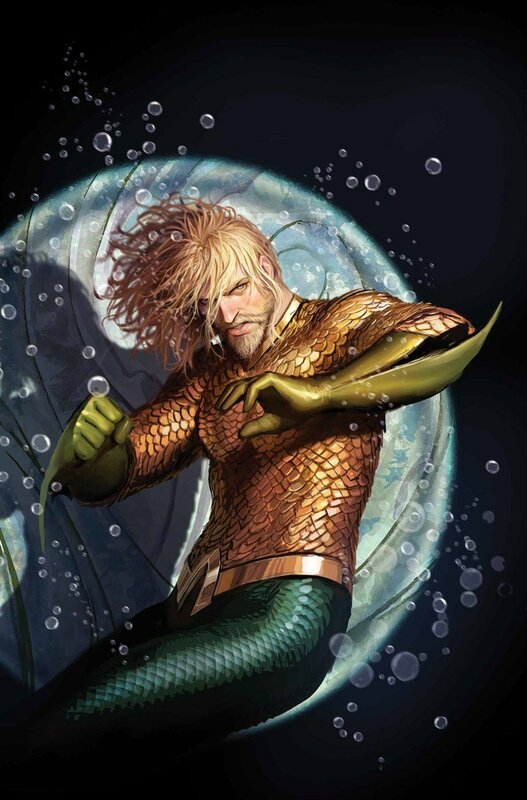 It sounds like the King of Atlantis will start to make some aesthetic changes sooner rather than later, because the cover for June’s Aquaman #25 has him looking like he’s on his way to an Amon Amarth concert. Be sure to check out the first details regarding what sounds like a game changing issue below before going about your way.